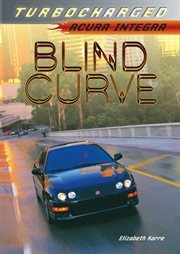 The item Blind curve : acura integra, (electronic resource) represents a specific, individual, material embodiment of a distinct intellectual or artistic creation found in Austin Public Library. Penny and her brother transformed their Acura Integra into a street-racing maching. But a car that looks suspiciously like her Integra is involved in a brutal hit-and-run. Did her own brother cross the center line?